Your first choice in vacation rental accommodations! 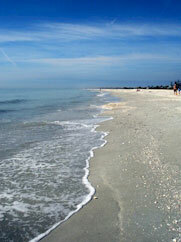 Sea Shells of Sanibel is not your typical resort. In fact, our accommodations are as different as the shells you’ll find on the beach. Located across from the pristine clear blue waters of the Gulf of Mexico, Sea Shells of Sanibel Condominiums offer you the ideal location for your Sanibel Island vacation. Conveniently located just a short walk from some of the finest and unspoiled shelling beaches in the world, and in the heart of Sanibel Island, you won’t have to go far to enjoy all that Sanibel has to offer! The Sea Shells of Sanibel offers 44 charming and unique units each with its own distinct style and décor, so you’ll be sure to find one that appeals to your own special taste! Seashells has its own private access to the beach! 2 bedroom, 2 bath, completely furnished condominiums-each with its own distinct style so you’re free to choose the one that fits you perfectly! THREE NIGHT MINIMUM STAYS AVAILABLE IN MANY UNITS. Kitchens equipped with a refrigerator, dishwasher, garbage disposal, self-cleaning oven, and microwave-for those times when you want your favorite home-cooked recipe. Every unit equipped with central cooling/heat, telephones, color TV with cable, and many include a VCR, DVD, and Stereo Receivers, so you don’t even have to leave to enjoy an evening of entertainment. Screened porches to enjoy the clean, fresh island air. Swimming Pool to cool off after a long day of exploring the islands! Doubles Tennis Court-what’s better than playing a match in Paradise!